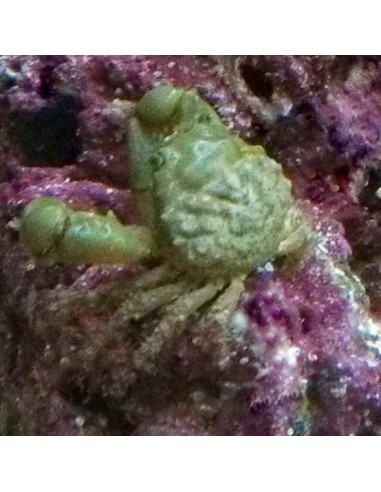 The Emerald Crab requires plenty of rock work and hiding places, and it best kept in a larger aquarium with enough algae available. They need to keep well fed or they might eat other invertebrates, small fish or corals. 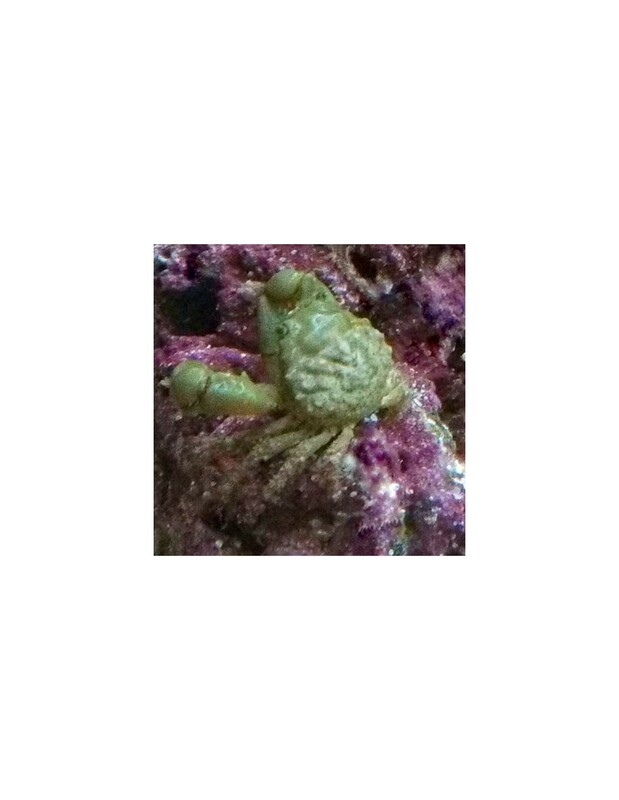 But habing this in mind they are a useful and interesting addition for the reef aquarium. As most inverebrates they don't tolerate copper-based medications or fast changes in the water quality.